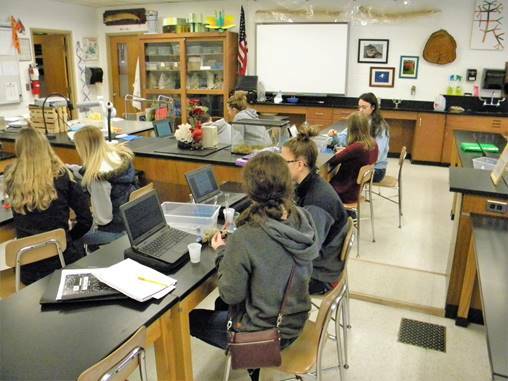 The purpose of this lab is to have students extract DNA or Deoxyribonucleic Acid, from their own cheek cells. Cheek cells are collected with purified water and placed into a saline and soap solution. When alcohol is added, the DNA precipitates from the solution and thus the DNA is observable. 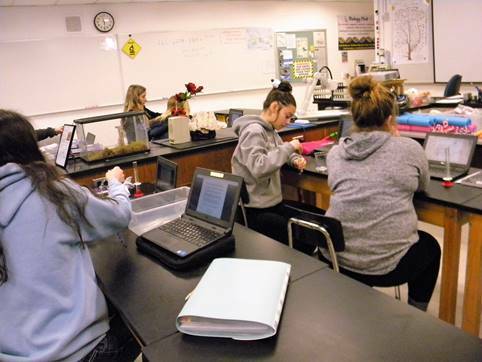 This lab has been adjusted to use equipment and materials readily available within a secondary classroom and to fit within a 30 minute time period. 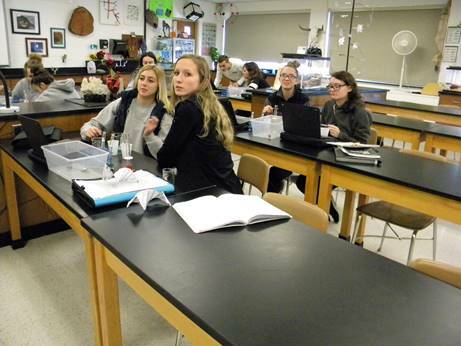 Students will be able to see their own DNA from their own epithelial cells. Extracting DNA is a moderately simple process. The activity begins by collecting cheek cells by rinsing the mouth with purified drinking water and gently scraping the oral cavity with the teeth. This process will help gather numerous epithelial cells lining the oral cavity. A soap is then added to the cheek cell solution in order to split or break the cells open. This process releases the DNA from inside the cells and nuclei because the amphiphilic properties of the detergent break apart the fatty and protein components that make up cellular and nuclear membranes. A concentrated saline solution is then added to the cheek cell solution in order to change the polarity of the solution. This process will allow DNA, a polar or slightly negatively charged molecule by nature when released from nuclei, to dissolve in the ionic solution while many fats, carbohydrates and proteins settle out. Having a polarity is a major characteristic that allows the DNA to separate from the solution. 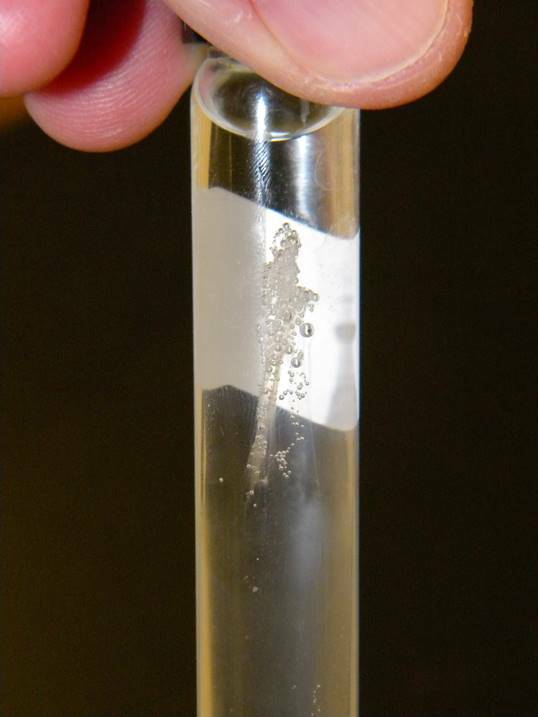 Finally, the DNA is then precipitated from the ionic solution by the adding 70-90%+ isopropyl alcohol. This process will allow DNA, which is not soluble in the alcohol, and the alcohol, which are both less dense than the ionic solution, to appear towards the top of the solution. The density of DNA is also a characteristic of allowing it to separate from solution. The DNA will appear white and cloudy and/or thread-like during the precipitating period. The hypothesis for the procedure is that a collection of DNA can be extracted from human epithelial cells, isolated and observed. Procedure: Note: Soap and saline solutions are to be used for both partners. Create an 8% sodium chloride solution by doing the following: Using a 100 mL graduated cylinder, measure 92 mL of distilled water. Place the water into a 250 mL beaker. Measure and place 8 grams of sodium chloride into the beaker with the distilled water. Stir the “saline solution” with a clean stirring rod until the salt is somewhat dissolved. Have you and your partner(s) clean your mouth of any residual food items by rinsing your mouth with drinking water or using a drinking fountain prior to the next step. Fill both you and your partner(s) paper cups with the salt solution about 1/4 full. You and your partner(s) need to then swirl the salty “mouthwash” in your mouths for 5 minutes; it would help greatly if you also firmly, yet gently scraped the inside of mouth (no blood) with your teeth to insure a high cell count and thus DNA. Using the 25 mL graduated cylinder, measure 25 mL of distilled water. Place the distilled water into the other 250 mL beaker. Using the same graduated cylinder, measure and place about 5 mL of liquid soap into the beaker with the distilled water. Gently stir the “soap solution” with a clean stirring rod until the solution is well mixed with few suds. Using an eyedropper, place 1 dropper “full” of liquid soap solution from the beaker into both yours and your partner(s) test tubes containing the “mouthwash” solution and set aside. Using an eyedropper, place 1 dropper “full” of the saline solution from the beaker into both yours and your partner(s) test tube containing the “mouthwash” and “soap” solution. Cover the top of the test tubes with a lid and while holding your thumb on the lid, gently mix the contents by turning the test tubes upside down and right side up about 10 times slowly. 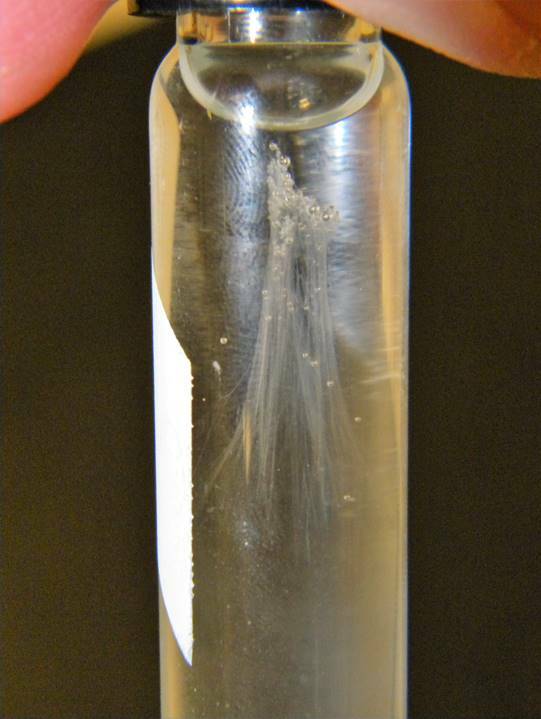 Using an eyedropper, place 5 dropper “fulls” of “cooled” 70-91%+ isopropyl alcohol into the test tubes containing the mouthwash, soap, and saline solution. Make sure to pour it at an angle down the side of the test tube. It is highly important that no sudden movements of the solution be performed during this time. Place test tubes in a test tube rack and wait for a couple minutes for the DNA to appear and float toward the surface. Refer to the introduction section of this lab to establish an understanding about how the DNA materialized from solution, why the DNA is where it is in the test tube and what the appearance of the DNA should be in the test tube. In reality, you are looking at nucleic acid that contains a mixture of DNA and RNA. Optional: Add a few drops of “methane blue stain”. The stain will target DNA by bonding to the molecule due to its positive, flat, ringed characteristics.